To jobs that pay the rent! I don't know about anyone else, but apart from music I like to listen to, there are also movies I like to watch at home depending on my mood. 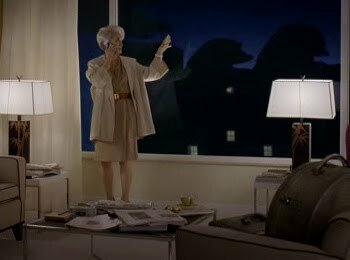 The Devil Wears Prada does it for me whenever I'm despairing over my career situation. Like I've been recently. 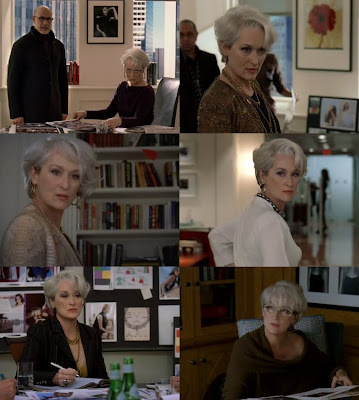 The marvelous Meryl Streep plays the antagonist in the movie: Miranda Priestly, editor-in-chief of fashion magazine Runway and one of the most powerful figures (if not the most powerful) in the industry. 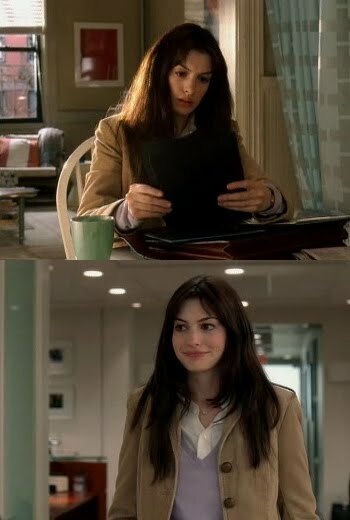 That's Andy Sachs, the protagonist played by Anne Hathaway, and a poor steak Miranda had her order just to spite her. Andy is a wide-eyed graduate of journalism who manages to land the job that "a million girls would die for"—that of Miranda's junior personal assistant. 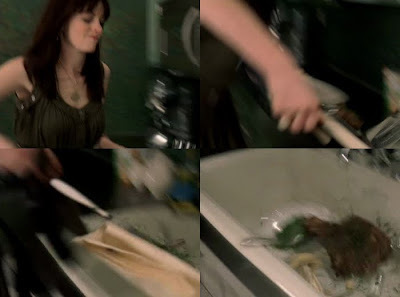 Despite Andy's lack of interest in fashion (and comments about the same from the people around her such as Miranda's senior personal assistant Emily, played by Emily Blunt), she aims to stick it out for a year working for Miranda, believing that the job will open many doors for her in the publishing industry. Finding that just doing her job isn't enough, however, Andy succumbs to the change that the world of fashion has been pressuring her to undergo both on the inside and out. With help from Runway's creative director Nigel (played by another marvelous actor, Stanley Tucci) she trades her flats for heels and her typical office attire for bolder, more sophisticated designer clothing from the magazine's beauty closet. The internal transformation in Andy slowly but surely drives away her family, boyfriend, and closest friends. Thankfully, on the way to an event in Paris for Fall Fashion Week, Miranda remarks that she sees a great deal of herself in Andy, and although she's already very close to meeting her one-year goal working for Miranda, this wakes her up, causing her to get out of the car after Miranda and just walk away. Both literally and figuratively. Young adults, particularly in the BPO industry, are doing a lot of that last part these days thinking their Miranda Priestlys (not necessarily their bosses) are simply too much to handle. It's not as respectable, but it's convenient. They walk away from one call center and into another, just like they do with relationships, which isn't any less horrifying. They say to themselves, "Heck, there's a lot of them out there," and they count off with their fingers the call centers that haven't employed them yet. And although only a handful of these call centers are topnotch companies, there are indeed a lot of them out there. The very first time I got immersed in call center culture, I was as wide-eyed as Andy taking her first step inside the Elias-Clark building. I still say no to smoking and keep away from alcohol and profanity to the best of my ability, and my choice of clothing can be likened to that of Andy's at the outset of the movie. But along the way I have had to succumb to inevitable changes, some good, some bad. And I have had to work for a Miranda Priestly, which was life-changing. I would have preferred it if the confirmation of my belief that I'm not a salesman came in some other way, but there's nothing I could do about it anymore. 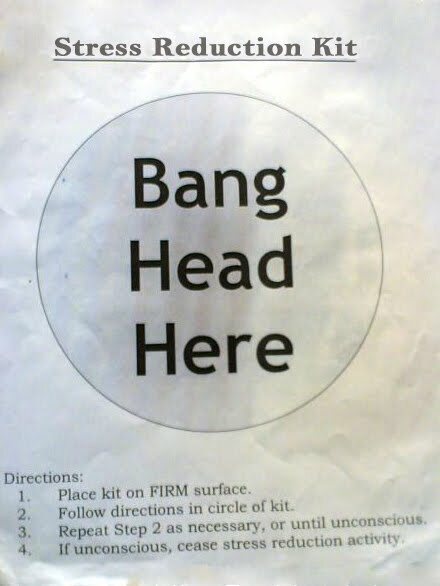 A sign posted near my workstation in my previous company. 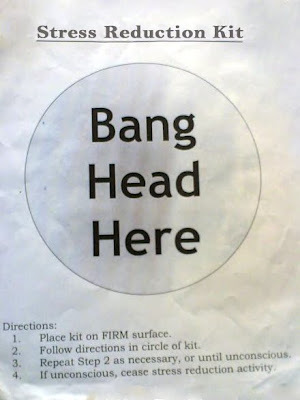 The stress from all these pressures—which I think has contributed largely to my recent bouts of illnesses—have made me question time and again if it's really worth sticking it out in this industry so I can afterward jump to doing what I actually want to be doing: studying languages and culture, writing and teaching. Unfortunately, I don't have the answer to that yet. If you haven't already, see The Devil Wears Prada. Like Runaway Jury, it's one of the films I'm alright having seen without first reading the novel from which it was adapted (I'd rather stay away from legal and fashion jargon). See the movie if only for Meryl Streep.